In stock -This product will ship today if ordered within the next 9 hours and 8 minutes. 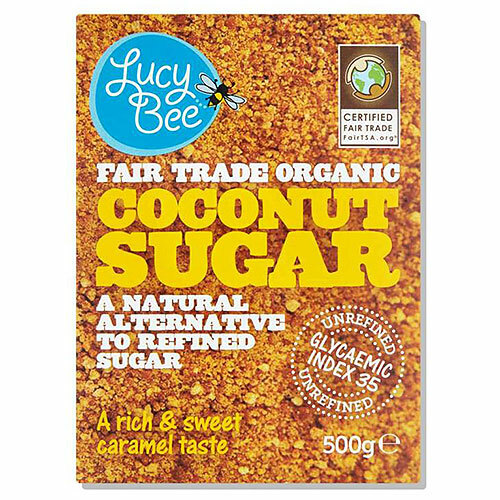 For those times when only sugar will do, Lucy Bee`s Coconut Sugar is a nutritious alternative to refined sugars. A nutritious and natural sweetener for drinks, bakes, breads – both sweet and savoury dishes. Dissolve Lucy Bee`s Coconut Sugar with a little water to make a syrupy coconut nectar, which is easy to pour. Great for when you need a liquid sweetener, such as in salad dressings. 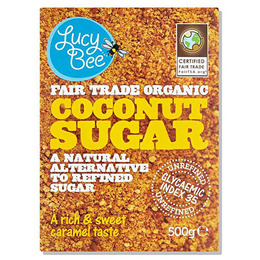 Below are reviews of Lucy Bee Organic Fair Trade Coconut Sugar - 500g by bodykind customers. If you have tried this product we'd love to hear what you think so please leave a review.